Ellisen represents and counsels clients in complex commercial and intellectual property disputes in numerous federal courts, as well as in the U.S. International Trade Commission (ITC), the Patent Trial and Appeal Board (PTAB) and the International Chamber of Commerce (ICC) International Court of Arbitration. Known for his sophisticated understanding of the high tech sector, and with a background in computer engineering, computer science, and biomedical engineering, he concentrates his practice on media and entertainment technology, software, telecom, semiconductor, biotechnology and life sciences matters. He also handles patent and trade secret litigations and contested patent office proceedings, particularly inter partes reviews (IPRs), through all phases, from pre-litigation to trial and appeal. In addition, Ellisen helps clients develop strategies to successfully monetize their technologies, maximizing the value of both tangible and intellectual assets. He counsels businesses on technology development and commercialization and represents them in bankruptcy matters and transactions. These matters—which can involve a single patent or as many as tens of thousands of assets—include intellectual property transactions and license negotiations, as well as intellectual property due diligence in connection with mergers, acquisitions and asset purchases. Clients rely on Ellisen both for his track record of success and for the enormous creativity he brings to each matter. He takes a holistic approach, taking the time to understand his clients’ business plans, short-term objectives, and long-term definitions of success. Armed with this knowledge, he crafts successful, often groundbreaking, legal strategies that meet clients’ critical business goals and pave the way to success in future endeavors. Deeply involved in the Los Angeles community and local legal organizations, Ellisen has been repeatedly appointed over the past decade to the Judicial Elections Evaluations Committee for the Los Angeles County Bar Association. He has served as the chair and a board member of the Intellectual Property Section of the National Bar Association. Ellisen also founded the National Bar Association's Diversity in Tech Awards, which annually recognize leaders for fostering diversity and inclusion in the STEM and intellectual property fields. He also serves on the Intellectual Property Owners Association Litigation Committee and its Education Subcommittee. Frequently invited as a speaker on patent law, Ellisen has spoken on patent litigation and patent damages at the American Intellectual Property Law Association (AIPLA) and other intellectual property conferences. 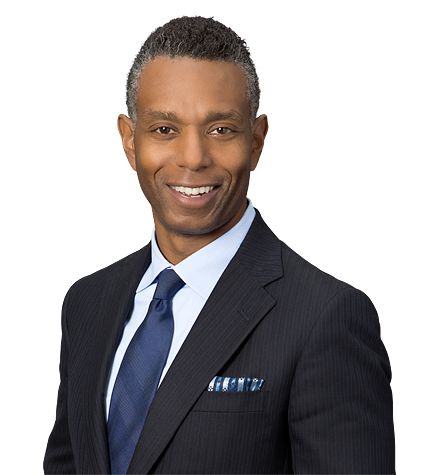 He has also been an associate columnist for the National Law Journal and has co-authored several papers and presentations regarding patent law and practice, including forum selection in patent infringement litigation, claim construction hearing practice and pre-litigation investigations. Ellisen’s strong knowledge of the technology sector is informed by his early professional experience working in private industry. Before attending law school, he held positions as a software engineer at AlliedSignal Aerospace (now Honeywell International Inc.), Hewlett-Packard and IBM's Santa Teresa Laboratory. He also worked as a manufacturing execution system and database design consultant. In his spare time, Ellisen enjoys boxing, writing, sketching and bicycling. Represented a pioneering media technology company in multiple major litigations concerning core patented technology for digital video recorders and video distribution technology, including IPTV and OTT streaming video. Through the resulting litigations, settlements and negotiated licensing transactions, the client's recoveries have exceeded $2 billion. Represented one of the world's foremost video and video encoding technology companies in multiple licensing and asset sales transactions and advised on worldwide litigation strategy including litigated matters in Europe and Asia. The resulting negotiated licenses, litigations and asset sale transactions yielded many hundreds of millions in new revenue for the client. Represented a global media company with some of the most valuable entertainment and news brands in the world in entertainment litigation matters and advised the company regarding supply agreements, software development agreements, intellectual property transactions, license agreements and due diligence. Represented the patent holder in a 17-patent declaratory judgment action involving complex semiconductor processor technology and innovations, including interconnect architectures, thermal monitoring systems, security circuitry and performance optimization used in several hundred billions of dollars of microprocessors and chipsets. Irell obtained favorable claim construction rulings, defeated two rounds of summary judgment motions and convinced the court to reject every one of Intel’s Daubert motions. With trial scheduled to begin in a month, Intel had not managed to remove a single claim of a single patent from the case. After three years of litigation, Intel agreed to a confidential settlement shortly before trial. Represented one of the largest wireless network operators in the United States as a defendant in a patent infringement lawsuit in the U.S. District Court for the Southern District of New York. The case involved near field communications technology in mobile devices, and Irell took the case over from prior counsel after claim construction. Ellisen’s deposition of the plaintiff's damages expert resulted in her damages theories being completely excluded, leaving the plaintiffs with no damages expert for trial. The case settled soon after the court granted the Daubert motion excluding the plaintiff's expert. Defended one of the largest wireless network operators in the United States in a trademark litigation in the U.S. District Court for the Eastern District of Virginia. Irell successfully moved to dismiss the litigation on the pleadings—a ruling that the U.S. Court of Appeals for the Fourth Circuit upheld in a published opinion on a matter of first impression concerning arbitral rules incorporated by reference in an arbitration agreement. Represented a major Norwegian marine geophysical company in two multipatent actions involving seismic exploration technology for acquiring and processing data used to map offshore oil and gas reservoirs. The case settled after Irell's client asserted multiple patent counterclaims and after Ellisen won a string of procedural and substantive motions. Represented a patent holder in a set of declaratory relief and infringement actions involving dozens of telecommunications patents that five of the world’s largest technology companies acquired from the estate of Nortel Networks. The complex multidistrict litigation involved dozens of patents and hundreds of counterclaims, and Ellisen also represented the client during parallel bankruptcy proceedings concerning the Nortel estate. The defendants included some of the largest cable companies in the world. The litigations led the dominant supplier in the industry to make one of the largest payments in its history—more than $180 million—in settlement. Represented a major manufacturer of aircraft interior products in three IPRs filed against a competitor in the field of aircraft water and waste systems. The U.S. Patent and Trademark Office invalidated all three of the competitors’ patents, concluding that they were obvious based on multiple prior art references. Represented a small, innovative pharmaceutical company based in San Diego in an ANDA litigation against a generic drug company over a drug used to treat disorders related to excess stomach acid. After a successful infringement trial and an appeal that upheld the validity of multiple claims across the asserted patents, the generic company ceased further distribution of the infringing product. News of the victory caused the client's stock price to soar over 14 percent in one day. Represented the patent management and licensing entity for a major university in litigation against Intel over complex semiconductor processor technology developed by university professors to improve processor speed and efficiency. Two weeks before trial, the court granted the client's summary judgment motion that Intel had no license to the patent. The court also denied Intel's motion for summary judgment that the patent was invalid for anticipation, adopting the client's construction of a key claim limitation. The court stated that the construction "is fatal to defendant's contention" of anticipation in its motion. Two weeks later, three days before trial, Intel settled the case for over $100 million. The victory cleared the path to litigate the same patent against Apple in a subsequent case that yielded a $506 million judgment. Defended a major computer original equipment manufacturer (OEM) and technology company in the U.S. District Court for the Eastern District of Texas in multiple offensive and defensive cases involving patents relating to multiprocessor computer server systems, microprocessor cache memory management technology, computer-aided design (CAD) software and a variety of inventions related to high-performance computer architecture. The plaintiff alleged that high-end server systems, representing $2 billion a year in revenues, infringed its patents. Following very favorable rulings for Irell's client, the cases were successfully settled before trial. Represented innovative semiconductor technology company in multiple Section 337 investigations in the ITC, and a parallel bankruptcy proceeding, against more than two dozen respondents accused of infringing patents on semiconductor encapsulation techniques and compliant semiconductor packaging architectures. The matters resulted in multiple companies entering into patent license agreements with Irell's client. Represented a global technology leader as the complainant in a Section 337 investigation in the ITC, where five patents were asserted against a broad array of DRAM and flash memory circuitry imported by the largest memory companies in the world, each of which entered into patent license agreements with Irell's client. Represented an innovative semiconductor technology company in a series of arbitrations before a three-judge panel and various satellite cases involving royalties due under an agreement licensing both patented and unpatented semiconductor packaging technology and know-how. The resulting arbitral awards and settlements yielded Irell's client more than $150 million. Defended one of the world's largest video streaming and subscription video on demand companies in patent litigation concerning electronic program guide, media discovery and second screen video technology. Successfully negotiated an innovative license agreement to settle the case after successfully transferring the litigation to the U.S. District Court for the Central District of California and obtaining favorable patent claim interpretations during dispositive motion practice. Represented an innovative semiconductor technology company as plaintiff in a patent and antitrust action involving foundational semiconductor packaging technologies now broadly licensed by manufacturers of small-format ball grid array products, including the majority of the DRAM industry. After successful claim construction rulings and motion practice, the resulting settlements entitled the client to more than $80 million and significantly larger future royalties. Represented one of the world's largest hard disk drive and storage technology companies in disputed bankruptcy proceedings concerning intellectual property licensing issues over patents and other assets purchased in the disk drive industry's largest-ever bankruptcy matter. After the client purchased the assets out of bankruptcy, Irell successfully obtained a judgment that the client's competitor had no license rights to the patent assets, a ruling that was affirmed by the district court and the U.S. Court of Appeals for the Ninth Circuit. Represented the world's foremost digital stereoscopic projection technology company in bidding for and acquiring multiple significant 3D patent and technology assets during bankruptcy proceeding and in contesting asserted license rights concerning the assets after client's successful bid.